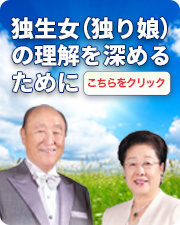 Mr. Tatsunori Okamoto (6000 Couples), who believes that Mr. Myung Sik Woo has a “special mission,” distributed a document called “95+13 Proposals” in September 2003, and was giving lectures on the so-called “Complete Testament Principle,” recruiting blessed families to his “Tribal Association”. After studying the Okamoto theory and deciding that it was something that could not be ignored, the three of us (Mitsuo Mori, Masayuki Kachi, and Seiji Takeuchi) summarized the errors of his teachings into 23 different points and published a book called Correcting the Errors of the Spiritual Group, Tribal Association! (Kogensha) on January 25, 2006. Mr. Okamoto’s group tried to refute Correcting the Errors on their Tribal Association homepage, but seeing that they were at a disadvantage, they closed the website and fled. They disappeared for some time but returned with a different name, the “Second Generation Counseling Corner”, and published The Problems with the Salvation Theory (November 1, 2008) and One Hundred Proposals (March 24, 2009). Their new disguised website is called the “Second Generation Counseling Corner” and they have recently been targeting the second generation who are not aware of this group’s real nature. The anti-UC groups 1Attack Reverend Moon calling him Satan (criticizing the founder), 2Criticize the Divine Principle [referred to as the DP hereafter] as an “immature teaching” (criticizing the DP) and 3Attack the UnificationChurch by describing the “horrible reality of the church” (criticizing the state of the church). In Mr. Okamoto’s case, he pretends to take the position of a reformist within the UC, but in reality, attacks the church in the same three ways as the anti-UC groups do. His criticisms are, however, more distorted and subtle. Although Mr. Okamoto claims that he has not criticized Reverend Moon, we wrote in the book Correcting the Errors, that he teaches that “Reverend Moon cannot complete the mission of human salvation” (p. 233). Mr. Okamoto admits this and goes on to say that Reverend Moon will resurrect through his second coming as the “fourth Adam” (grandson=Mr. Woo’s illegitimate child) in order to become perfect (which is the reason why they are called a spiritual group), and that the purpose of Reverend Moon’s whole life course was to witness in the fourth Adam as a John the Baptist role. Those who are deceived by this lie end up losing absolute faith for in “imperfect Reverend Moon” and start following the fourth Adam (a false Messiah) made up by Mr. Okamoto’s group. There is not a more subtle and effective way to make believers abandon their absolute faith in Reverend Moon, who has obtained a victory as the Messiah and as True Parents. The Okamoto theory claims the limitations of the DP. They point out the part where it says “only a part of the new truth” in the Introduction, and insist that the DP has limitations. The theory distorts the Principle of Creation and creates its own theory of the fall, developing an entirely separate salvation theory and a providential view. Once you believe in the Okamoto theory, you abandon the theory of the Human Fall in the DP. The content is similar to the criticisms of the Human Fall made by Mr. Sadao Asami. Mr. Okamoto criticizes the UnificationChurch from the same standpoint as other anti-UC groups, but even more harshly. Mr. Okamoto’s so-called “Exposition of Completed Testament Principle” is built upon the criticism of the marriage Blessing and blessed families. He even criticizes True Mother and True Children. He claims that the original sin is not cleansed through the Blessing by Reverend Moon and his wife, and that blessed families are a “foundation to prepare to receive the Messiah, and are in a pre-salvation position” (One Hundred Proposals, p. 355), degrading their historical value. They have recently been active in Europe and Hawaii, trying to recruit new blessed families in foreign countries, after facing some difficulties in Japan where the booklet Correcting the Errors is circulating among most church members. We hope that by studying this booklet and understanding the errors of Mr. Okamoto who belongs to the Woo group, nobody will be victimized by the group. Along with this booklet, we also recommend the books, Correcting the Errors of the Spiritual Group, Tribal Association and Rev. Sun Myung Moon’s Copyright Part II, both published by Kogensha.